Yul Perrkins a.k.a. Charles Bronson: You're not concentrating. I can tell. You're thinking about emails or text messages or handbags. Taylor Lautner. Annie Bean: You don't know that. You don't know what I'm thinking about. Yul Perrkins a.k.a. Charles Bronson: [in a whisper] Lautner. Yul Perrkins a.k.a. Charles Bronson: Okay, I don't know the specifics, but I know it's some kind of useless racket that's keeping you from concentrating. Annie Bean: You don't know squat. I could be thinking about the cure for cancer. In fact, I may have just cracked it, and now you're trying to get me to erase it from my hard drive. I don't often write reviews so I'll keep this short. I watched this expecting nothing more than something to waste a couple of hours.It ended up being a real fun couple of hours though. Clever script work..great character chemistry & fantastic musical score.I watched this with my wife who is very hard to please and she was also pleasantly surprised. I'm not saying this should win any awards but I am saying for those of you who don't take every film you watch too seriously .. it's a pretty cool little movie . 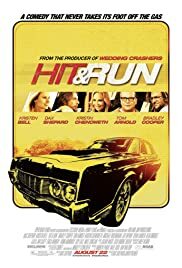 Dax Shepard should give himself a pat on the back for this.For a movie with a small budget it manages to assemble a great cast and give more bang for your buck than many big studios deliver.